Gemstone Power Bracelets, or Karma Bracelets are said to endow their healing and stress relieving properties upon the wearer. Our gemstone power bracelets are made of the highest quality, genuine gemstones available on the market today. Don't be fooled by cheap imitations! 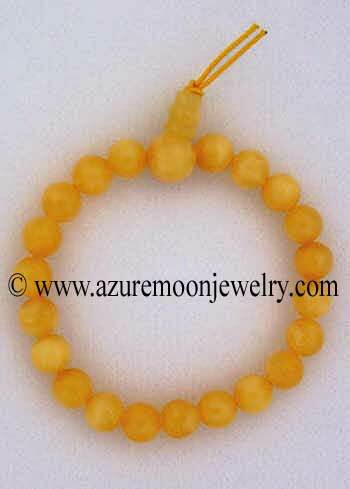 This is a single strand of genuine, warm and golden Honey Jade beads on a stretch cord. Beads are between 6 and 8 mm. One size fits most wrists. Jade is the official state gemstone of both Alaska and Wyoming. Jade is the third and twelfth wedding anniversary gemstone. 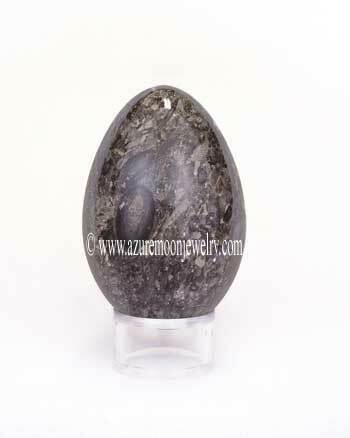 Metaphysical Properties: Jade is known as the "dream stone" and also as a "stone of fidelity". It�s used to release suppressed emotions via the dream process by placing a piece of Jade under your pillow prior to sleep. It�s said to bring the user a long and fruitful life with a gentle transition from this body to the spiritual world. Click here to learn more about the lore and metaphysical properties of Jade and other popular gemstones.